Circus shows of skill and comedy for all ages for every event. 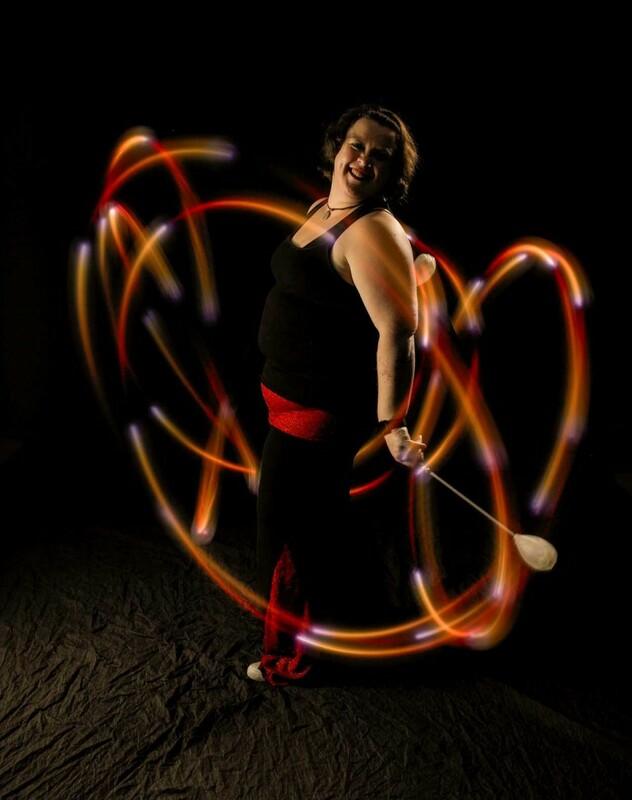 Fire hoop and fire poi tricks! Off stage I can perform more interactive routines with guests such as close up magic tricks and teaching hoop/poi tricks with props I will provide. I also do basic balloon twisting. Off stage activities can be any length. I can customize a performance to include multiple entertainers for almost any event. Let me know what interests you and we can make it happen. I entertain the masses with circus skills and comedy magic. I love to put on a show for all events such as birthday parties, city festivals, and corporate events. Strolling interactions with crowds or stage shows help me to make people happy and enjoy their time wherever they are. Children love the silly comedy. Teens love the mesmerizing light and fire tricks. Adults love the advanced object manipulation prowess. 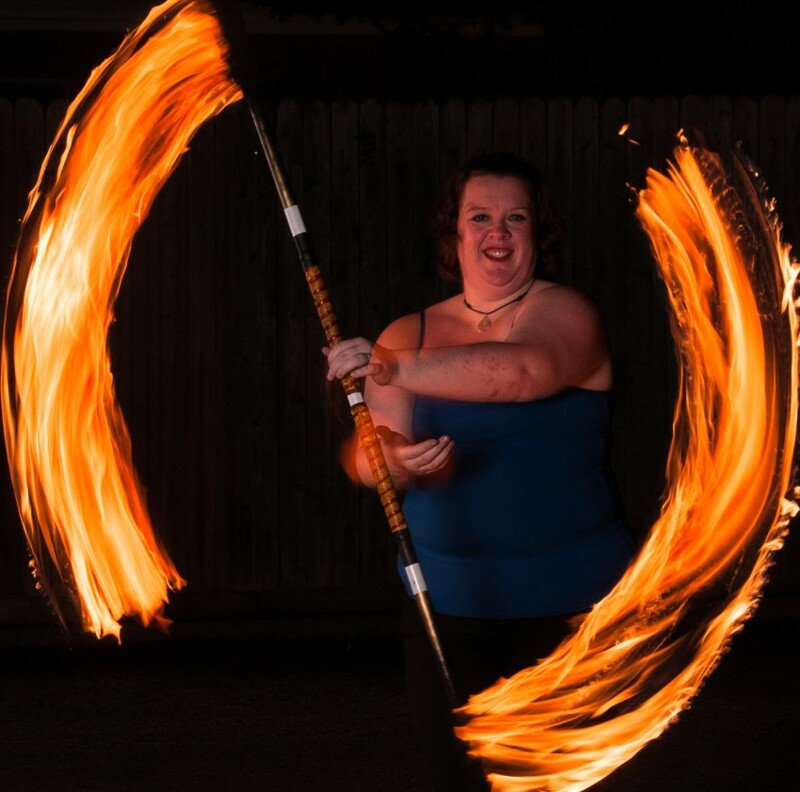 For your event I can perform a stage show up to one hour long with light-up hula hoop and poi tricks to music, comedy magic, fire stunts, and much more. Off-stage, I can interactively entertain your guest with close-up magic tricks, hands-on teaching with hoops/poi that I will provide or basic balloon twisting. Every event is different and I strive to make sure the performance fits your event perfectly. I would need an electrical outlet for my speaker and plenty of space for the fire stunts.